For those of you that follow me on Facebook, Twitter or Instagram you'll know there's a new love in my life. 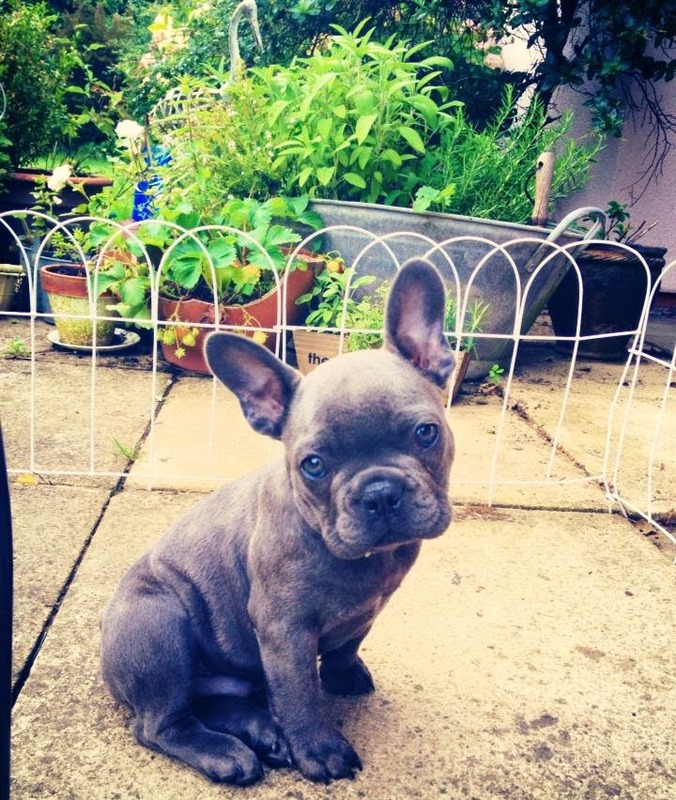 He is blue and furry and I'm totally besotted. I have started researching feeding puppies and so I went into the pet shop. 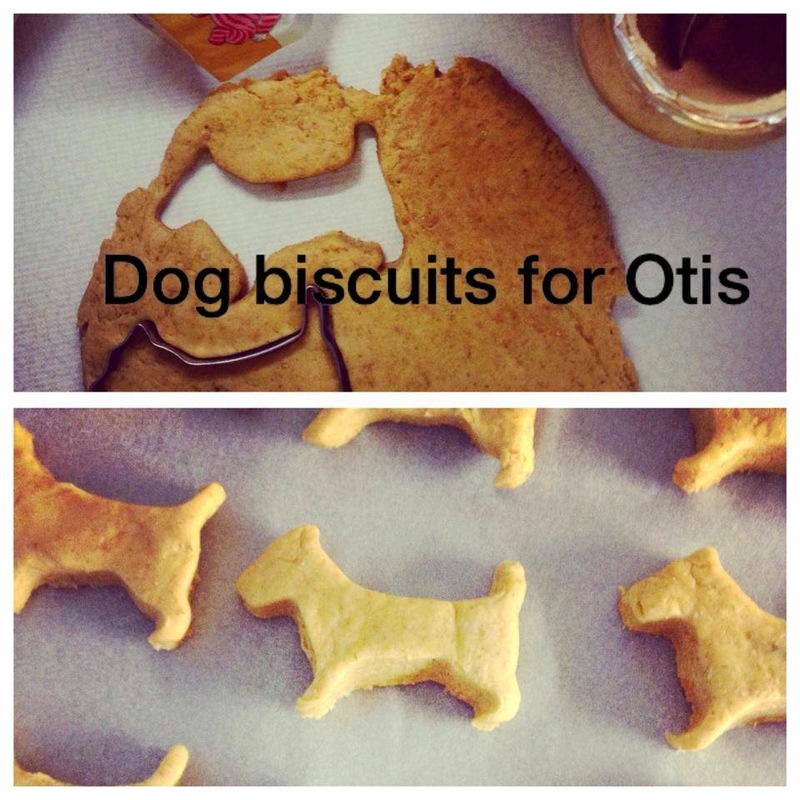 All the treats looked chemical ladened to me, so I decided to make my own and he loved them. The breeder was feeding him dried food but after extensive research I am going to wean him onto a raw diet this week. I blitzed a bag of broccoli and carrots, then added 80% minced beef steak (organic) with a tbsp of olive oil and divided into 7 potions, popping 5 into the freezer. I'll let you know how it goes, I've read I need to substitute 20% of his normal food with the raw food for 2 days and the 30% for 2 days and then 50% and so on! I just mixed all of the above in my kitchenaid until the dough came together. Then I rolled out the dough to half an inch in thickness. 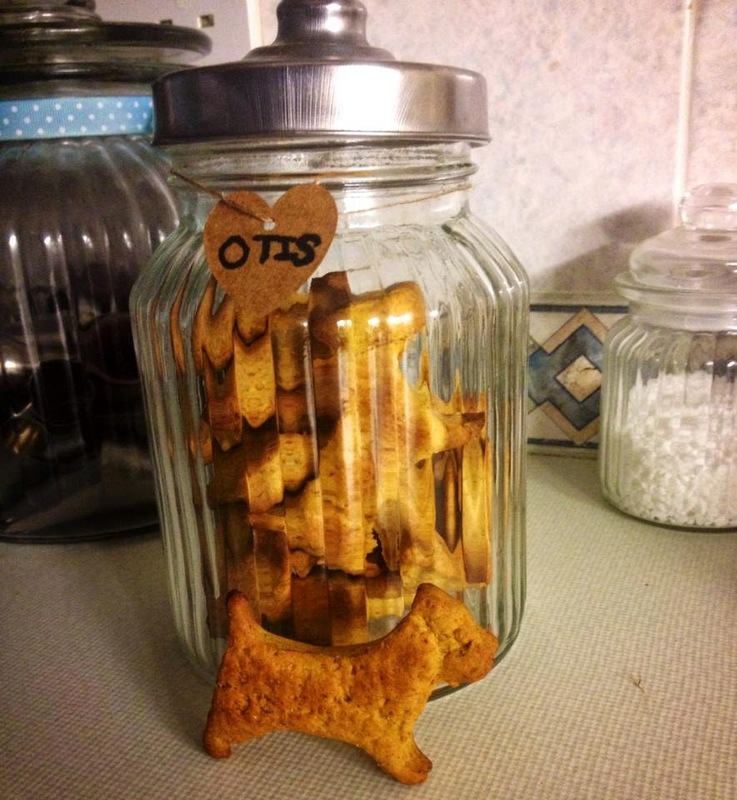 I used a dog cutter to cut out 12 doggy treats. Place on a lined baking sheet and bake at 160 for about 30-40 mins until golden and firm leave to cool completely before popping into a jar.